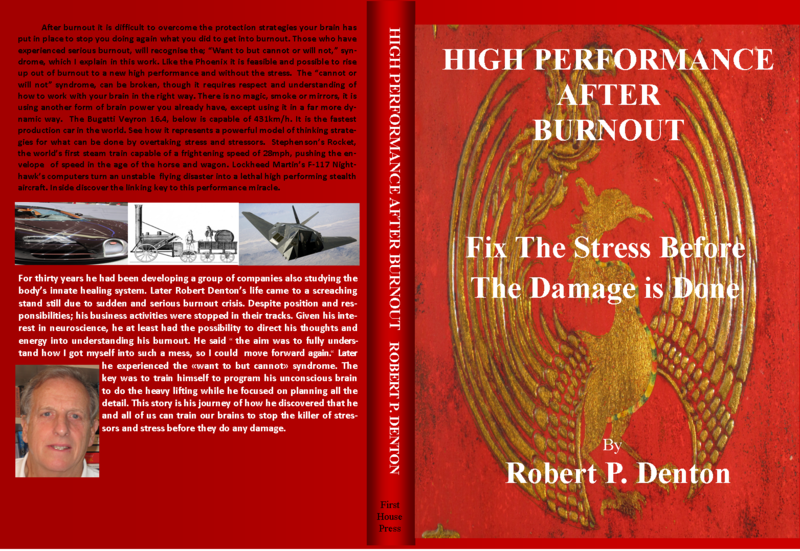 Robert Denton’s new book is now available at Amazon.com Kindle eBook and local book shops. In his capacity as a support healer, Robert Denton did not claim any of many amazing healings as his own power to heal. This was despite powerful orthodox medical treatment failing his patients. His belief and theory was that he was actually supporting his patients to re-activate their own powerful innate healing systems that had somehow become blocked. This book is about his quest to find the truth and how the perfect support could do what medical treatment apparently could not. His studies of medical sciences and the developing field of neuroscience guided him in highlighting important links of his gift and the body’s complex neuro-system intelligence. He presents and explains case histories and medical research that supported his theories and his support healing cases. Combined they expose the capability of the mind to block its own healing systems. In this book Denton explains how with the perfect support and with zero interference, the mind and body really can heal and restore itself. As an entrepreneur Robert Denton had the freedom to devote time to his healing gift. His healing support continued for more than 25 years with a relentless flow of people asking for his help. As his companies grew, also his healing reputation spread with the result he packed more and more commitments into each day. Early one morning he was hit by a devastating burnout crisis. The catastrophic consequences were made worse for him as in the late 1980s the medical profession had limited knowledge of how to recognise and treat overwhelming stress syndrome of the subsequent burnout. After the burnout crisis, his life, career and support healing were completely blocked. He understood with a painful clarity that if he was going to come out of this mess he had to heal himself. First he knew he had to expose how his healing gift actually worked. In this book, “Will the Real Healer Please Stand Up,” he explains how detailed analysis of finding how to heal his burnout, proved to be first hand experience of how his healing gift worked. Understanding what burnout really is and how his body, mind and innate healing systems intelligence worked, with the right self-support also external spontaneous support, he was able to heal himself. Denton explains how the augmentation of NLP and life coaching were found to blend perfectly with the body’s innate centres of intelligence. Robert Denton is available for coaching and support healing, lectures and trainings.